You may have noticed a certain theme to my posts this week, yes Halloween is the hot topic at the moment. And whether you are planning on going trick or treating, throwing a party or just doing a spot of Halloween baking, Aldi have something for your every need in their Halloween special buys range. 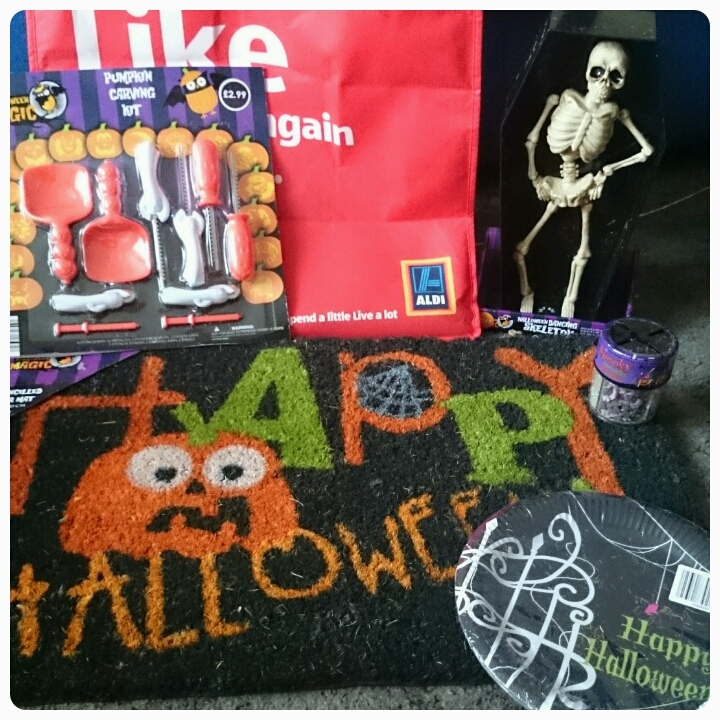 I was kindly sent a few items from their range to help the kids and I have a bit of Halloween fun over half term. 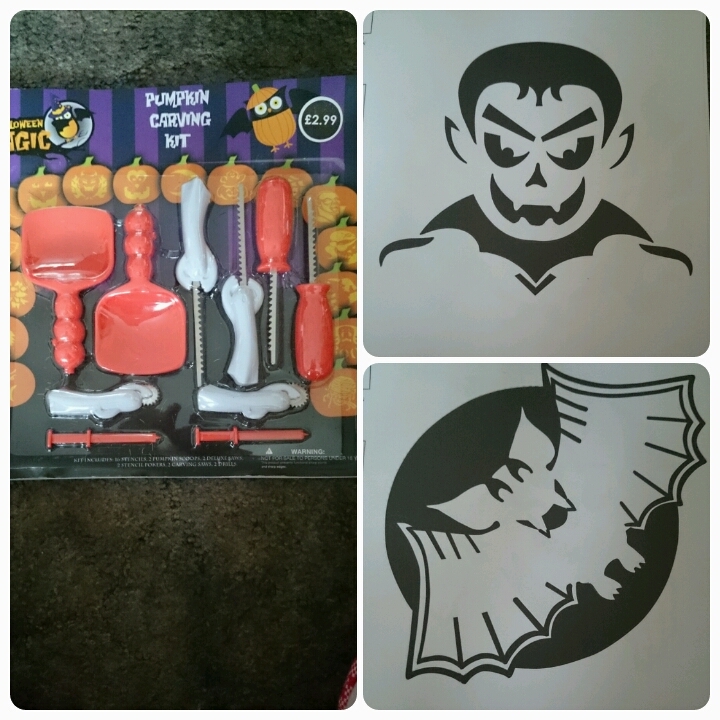 This pumpkin carving kit is a steal at £2.99, complete with everything you will need to create some spooktacular pumpkins including saws, scoops and stencils to cut around. 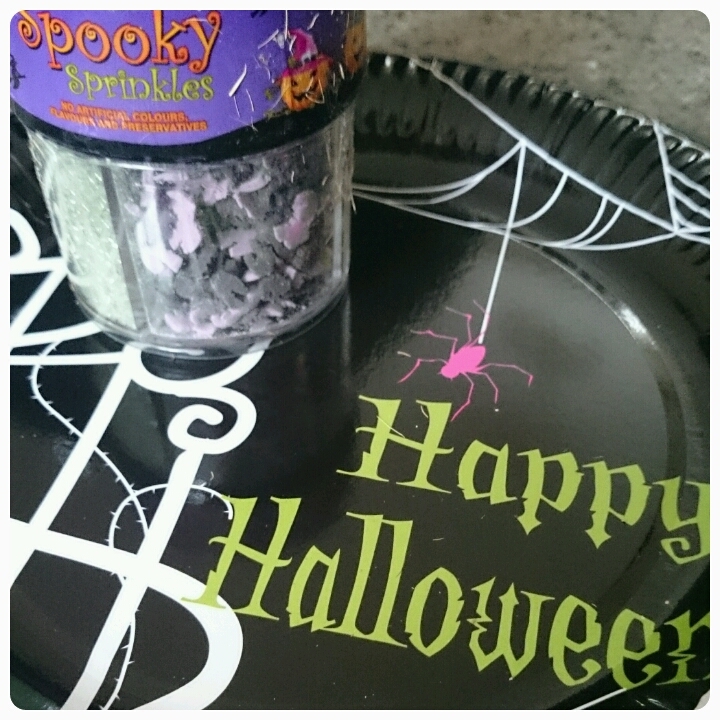 Frightfully good sprinkles (79p) to make our cakes a little bit scary, watch out for the assorted Halloween moulds instore too and with these plates (99p) to display them on, party food can be ticked off the list. Want to decorate the house? Well the best place to start is the front surely?? 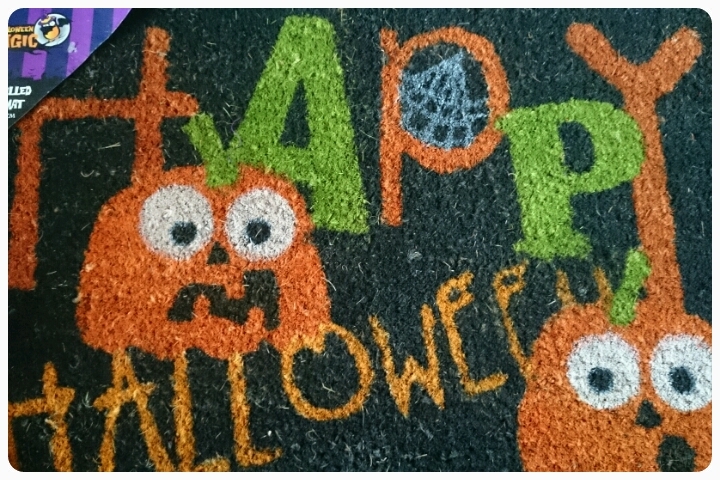 This coir mat (£4.99) offers a warm welcome to guests before they enter the haunted house …. There are many more decorations, costumes, toys, books and food and drink items to be found at your local Aldi store. If you are looking to do Halloween on a budget, Aldi is definitely the place to look. Disclaimer I was sent these items FOC for reviewing purposes however all thoughts and opinions are my own.